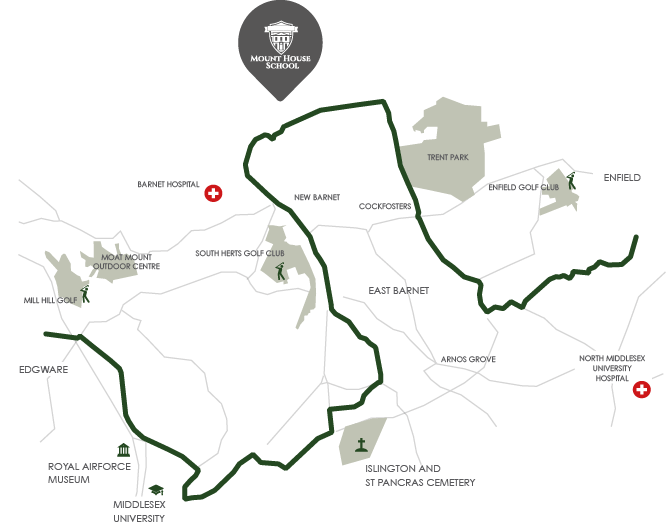 Home | Admissions | Why Choose Mount House School? Class sizes – Mount House is committed to maintaining small class sizes. This is, undoubtedly, the best way to maximize the learning of each individual student. Teachers – Everyone knows that a good teacher makes all the difference to a child’s enthusiasm for a course. All the teachers at Mount House are experienced, highly qualified professionals with a strong track record of success. Mount House has produced some excellent, and rapidly improving, public examination results in recent years. A vibrant classroom environment and an enriching academic and co-curricular programme ensures that pupils leave with a love of learning, confidence, a firm value system and fully prepared for the challenges of their future life. At Mount House we aspire to academic excellence in every age group and monitor progress closely as pupils move through the school. In the Mount House environment every child is motivated, enthused and supported to maximise their highest academic potential. Whatever their academic starting point, pupils are challenged with work that will extend and stimulate. We teach pupils to be independent thinkers, we encourage them to develop their own thoughts, ideas and opinions. They are given the tools to analyse their own performances and to create a strategy for success both in the short term and in their future lives. Art, drama and music promote individuality, personality, self-confidence, self-discipline and team work. All Mount House pupils will have compulsory lessons in these subjects until the end of KS3. Opportunities in choirs, orchestras, ensembles and school productions will be available to everyone. Mount House encourages all its pupils to participate in as many sporting and extra-curricular activities as possible. Boys and girls may choose freely from all the sports available, there is no bar on participation on gender grounds. These activities might be both competitive, with matches against other schools, and social. Sport plays a major role in building skills necessary to achieve future success. At Mount House we recognise that each pupil is unique and our aim is to encourage and develop this individuality, whilst nurturing any talents and building upon them. Pupils are encouraged to have a point of view; other pupils are encouraged to listen to their peers and value different opinions. We also look to recognise and reward success, knowing that it leads to a growth in self-confidence. It is a virtuous circle; success leads to confidence which leads to greater success. A Mount House education extends beyond the confines of the classroom. Our ‘skills for the future’ programme begins as pupils join us in Form 1 and continues until they leave us to university. It starts in KS3 with a focus on Public Speaking and Leadership. Pupils are expected to take part in the Duke of Edinburgh Award scheme and other extra-curricular activities as they move through KS4. In the 6th Form all pupils will take our ‘Growing Foxes’ course – a unique course in strategy – that will lead them through their subject choices, UCAS applications and to their successful completion of an Extended Project Qualification at AS level. Mount House caters for those of all faiths and none. Its environment fosters mutual respect and tolerance. Mount House instils a sense of right and wrong and promotes excellent behaviour in all areas of school life. We provide a happy, secure environment where pupils enjoy their schooling and feel that they belong. Communication with parents is a high priority and the excellent relationships between school and home are a key factor in the school’s popularity; this was recognised by the ISI school inspectors.